Economy Hearth & Home, Inc. Comment: the gas fireplace wont turn on. we flip the switch but it wont come on. Also there is a fan that we have questions about. Comment: The top ten courses of chimney bricks need to be repaired. Comment: Hi there, I have an existing wood-burning fireplace and I wanted to look into the options for replacing the current insert. After replacement, I will be having the surround re-tiled. Thanks. Comment: Mortar between bricks on chimney on roof is cracked and needs repair. Comment: slightly gas leak detected from the gas fire place. 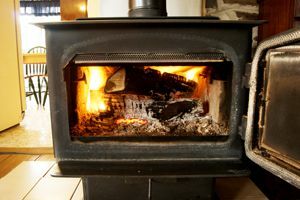 Seattle Fireplace & Wood Stove Contractors are rated 4.71 out of 5 based on 474 reviews of 23 pros. Not Looking for Fireplace & Wood Stoves Contractors in Seattle, WA?